Here is another great chance to pump up your stats in the Steam External Funds Used tool. 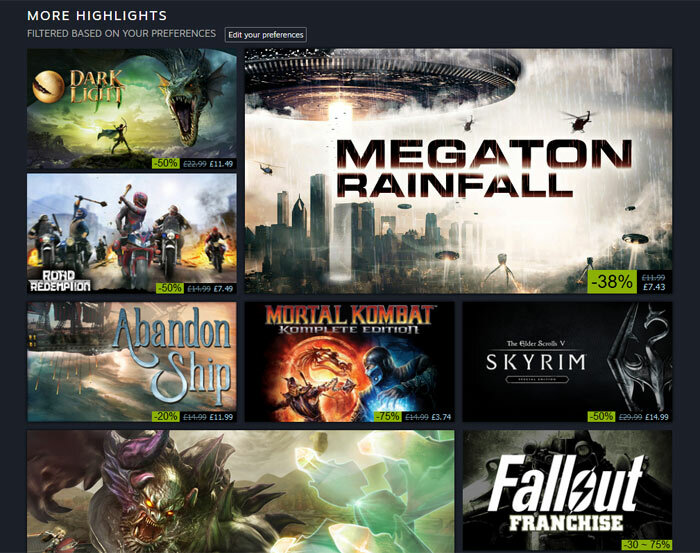 The Steam Summer sale kicked off a few hours ago and, as usual, it is bristling with PC gaming bargains. 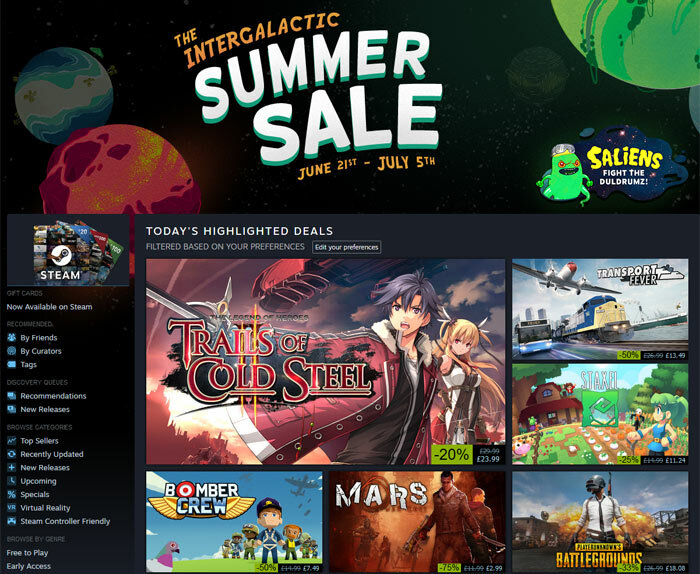 As the celestial event known as the Summer Solstice has just passed, this year's summer sale takes on an astronomical theme and is dubbed, to give it its full title, 'The Intergalactic Summer Sale'. During this sale Valve / Steam will reduce the prices of over 10,000 games. There is also the opportunity to unlock free games by playing the Summer Saliens online game (for which you have to be signed-in, of course). In this game you fight 'The Duldrumz' on various planets to free abducted games. You will gain XP as you battle, level up, unlock new abilities, and win cosmetic items to deck out your Salien. Plus, get Summer Sale Trading Cards just for playing. As I've allowed Steam to contact me when games on my 'wish list' are reduced in price, I received a couple of emails overnight regarding their featuring in the sale. One other thing to look out for is that even games that are on sale sometimes get extra discounts when they are highlighted, so that watch list is pretty useful if you want to get the best prices from Steam. The Steam Summer Sale runs until 10am PT (6pm BST) on Thursday 5th July.